Jordan Brand will be celebrating the 30th Anniversary of the Air Jordan 4 in 2019. For the occasion, there will be plenty of new colorways releasing, which includes this women’s exclusive Air Jordan 4 NRG Hot Punch iteration. Dressed in a Hot Punch, Black, and Volt color scheme. 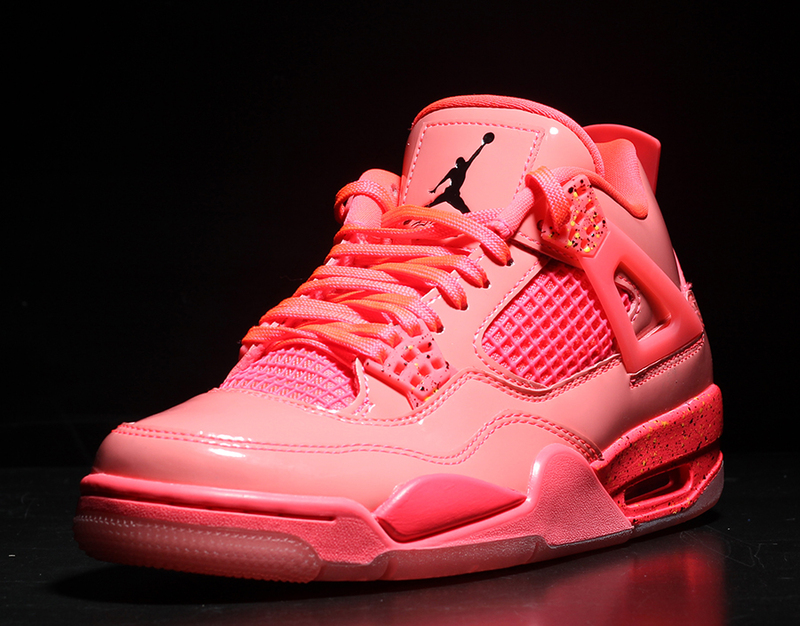 This Air Jordan 4 features a Pink patent leather upper contrasting with Black detailing throughout. 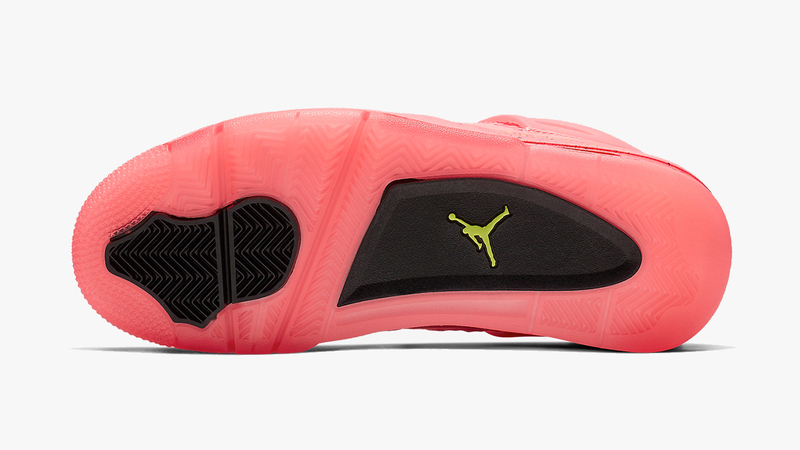 Volt hints atop a speckled midsole and translucent outsole completes the design. Look for the Air Jordan 4 NRG “Hot Punch” to release in women’s sizes on January 12th at select Jordan Brand retailers. The retail price tag is set at $190 USD. 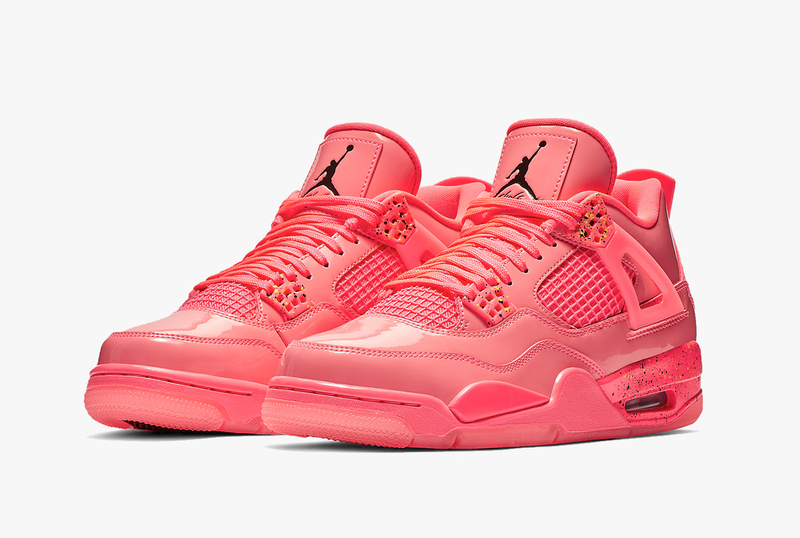 UPDATE: Nike releases official photos of the women’s “Hot Punch” Air Jordan 4. UPDATE: Scheduled to release on January 12th, here are product photos of the “Hot Punch” Air Jordan 4 releasing in women’s sizing. 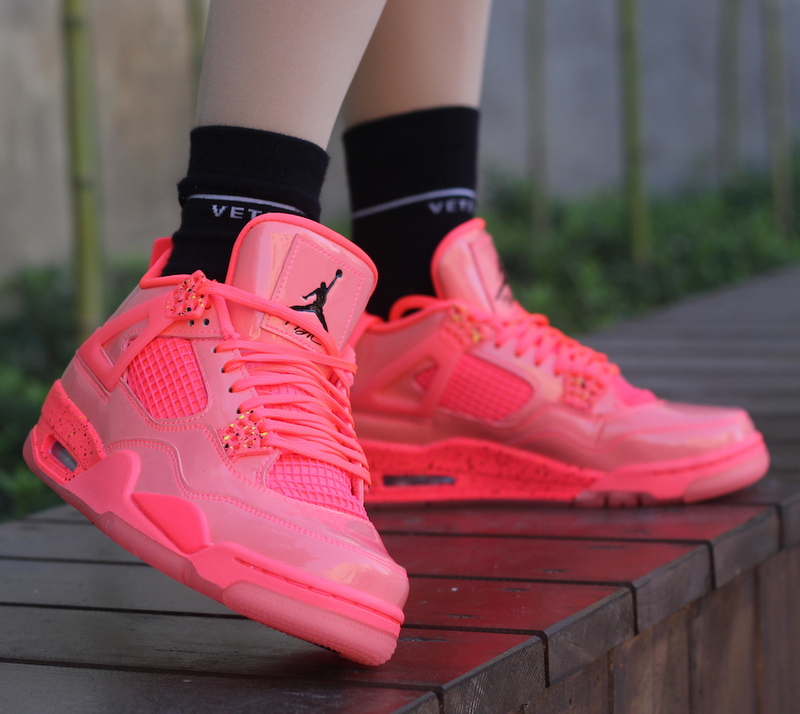 UPDATE: Here are some detailed on-feet photos of the women’s “Hot Punch” Air Jordan 4. 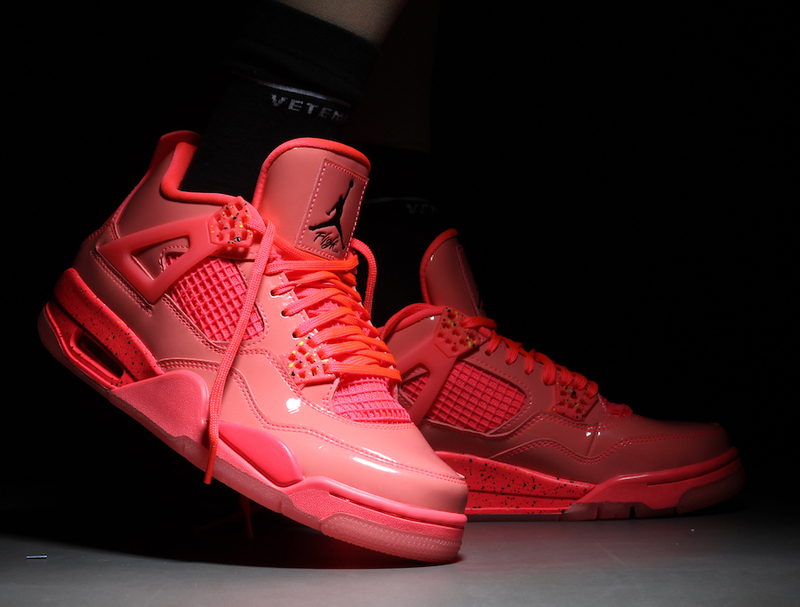 UPDATE: New detailed photos of the “Hot Punch” colorway of the WMNS Air Jordan 4 via @hanzuyinh. 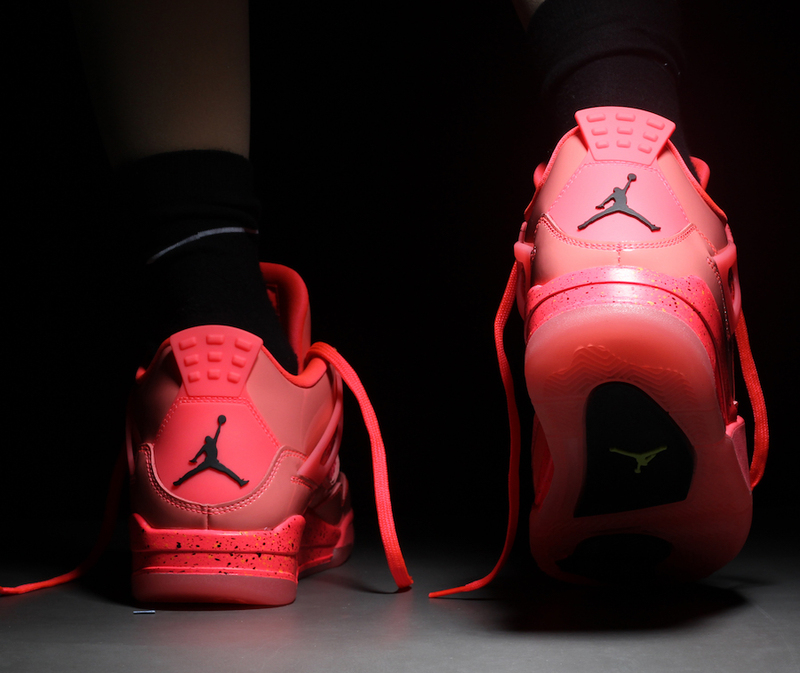 UPDATE: A closer look at the women’s “Hot Punch” Air Jordan 4 NRG. 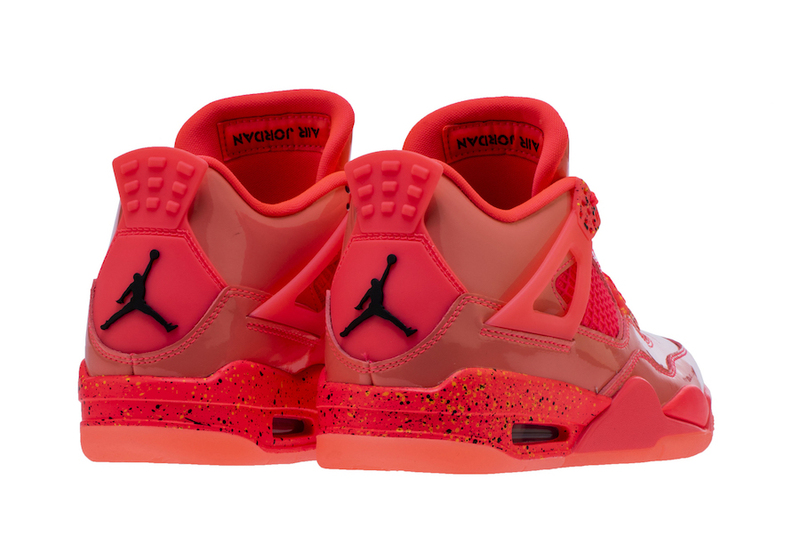 UPDATE: Here is the first look at the women’s Air Jordan 4 NRG “Hot Punch” that drops early January.